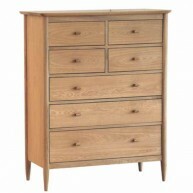 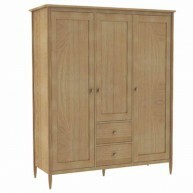 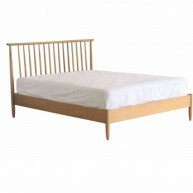 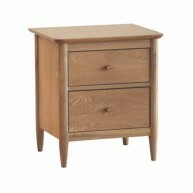 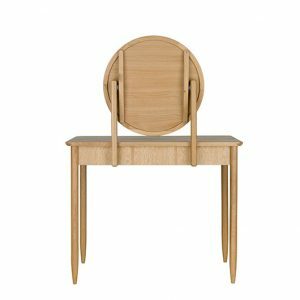 Categories: Bedroom, Dressing tables, Ercol, Teramo bedroom Tag: Teramo Bedroom Brands: Ercol. 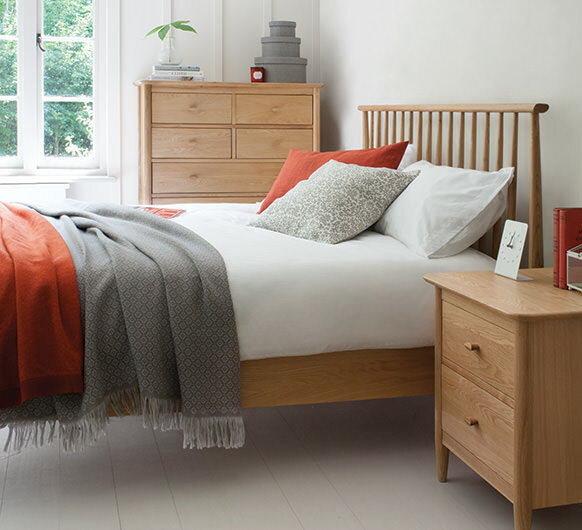 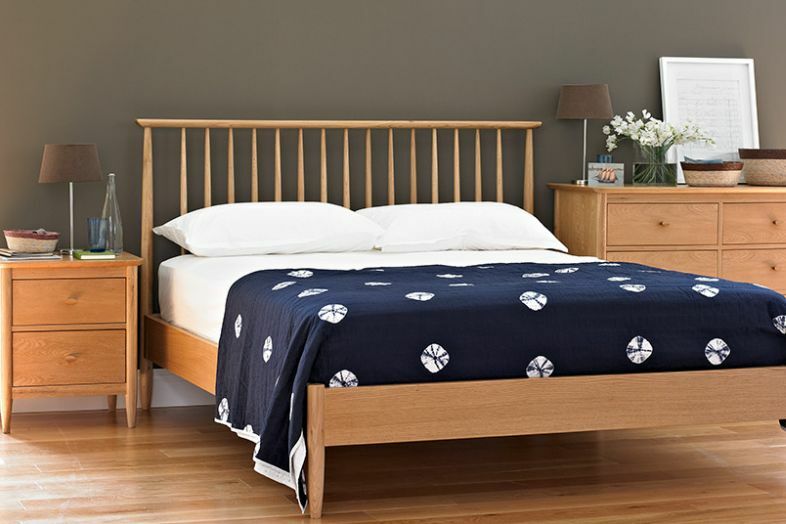 A relaxed modern bedroom range made of pale oak, the spindle headboard of the bed has shapes that reflect Ercol’s design heritage of Windsor chairs. 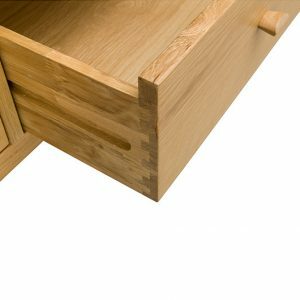 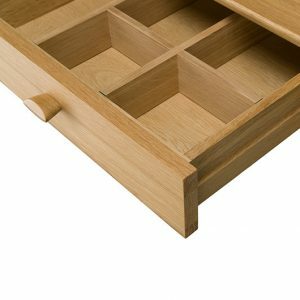 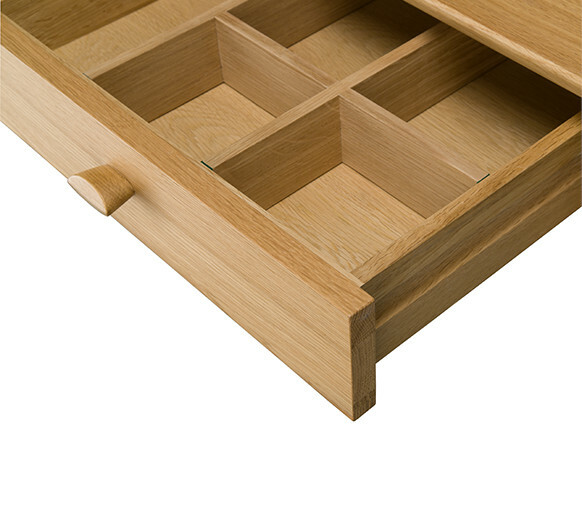 Deep dovetail jointed drawers provide capacious and practical storage whilst overhanging tops and oval shaped drawer handles create interest and detail, resulting in a bedroom collection that will suit any style of home. 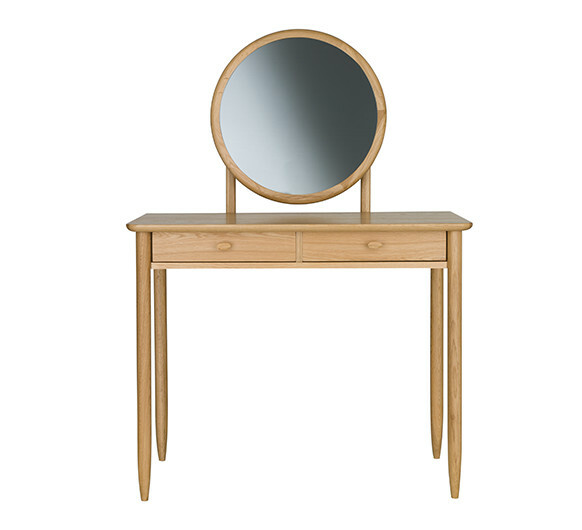 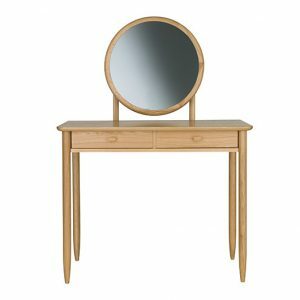 This dressing table and mirror is a statement addition to the Teramo bedroom range. 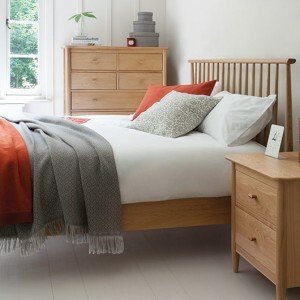 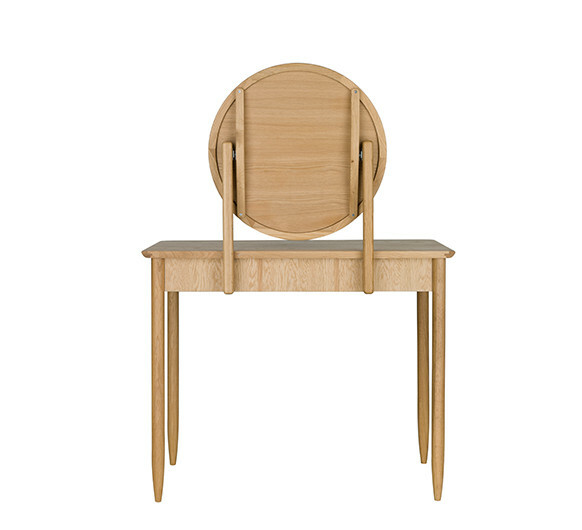 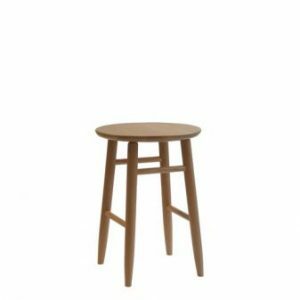 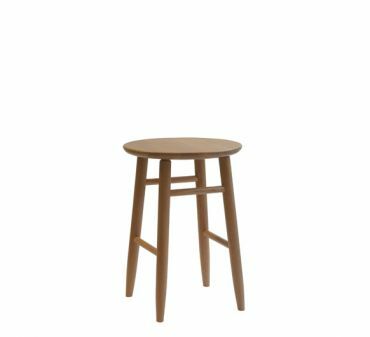 Following the signature tapered turned legs and curved detailing, creating a shaker look synonymous with the collection. 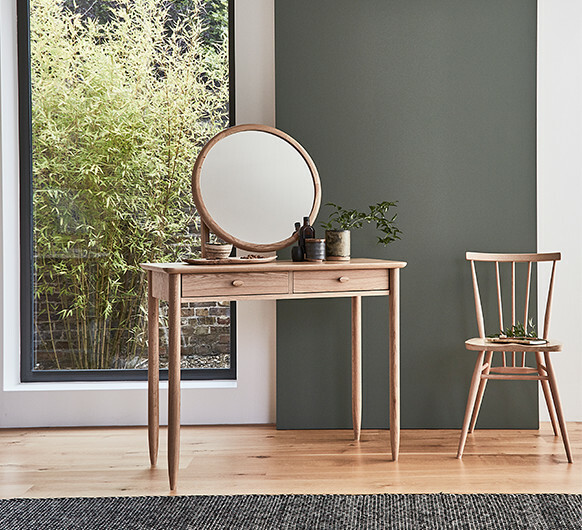 A stunning oak framed circular mirror creates design appeal whilst the two vanity drawers offer plenty of space to store beauty and jewellery treasures, cosmetics and toiletries. 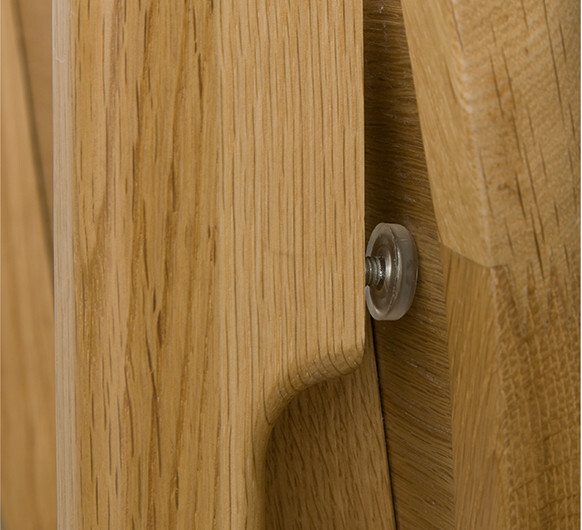 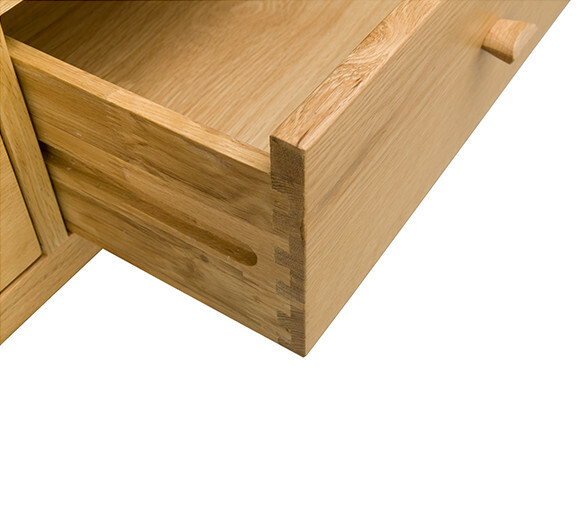 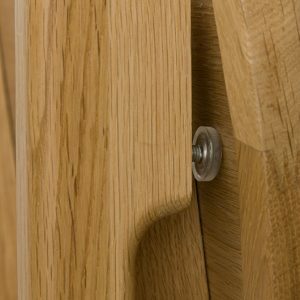 The double chamfered edges on the oval drawer handles create a defined and modern profile that are tactile to use. 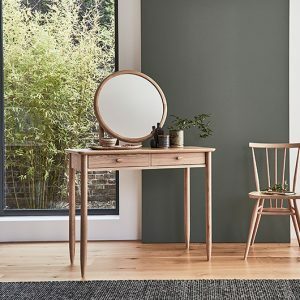 The Teramo collection is finished in clear matt lacquer, providing protection whilst emphasising the natural beauty of the oak.